March 6, 2017 (Vancouver, B.C.) – Liv Vancouver is pleased to announce that Bonnie Tu, the founder of Liv Cycling and Chairperson of Giant Bicycles, will make a rare visit to Vancouver on March 18 to experience the first Liv store in North America, which celebrated its Grand Opening last month. Liv founder Bonnie Tu is coming to Vancouver. In addition to the store visit, Tu will feature as the honoured guest on a social group road ride, starting at Liv Vancouver at 10:00 a.m. on March 18. The group will cycle from the store, through scenic Stanley Park – Vancouver’s world famous urban greenspace – before returning at noon for coffee and baked goods. Tu, Gagnon, Liv Canada Brand Representative Amalie Pasternak, and others integral to the store, will be available to the media for interviews at the Liv Vancouver retail location between 12:00 p.m. and 1:00 p.m. The recreational ride is open to all women who wish to join. Liv Vancouver’s Sunday group rides are taking off. 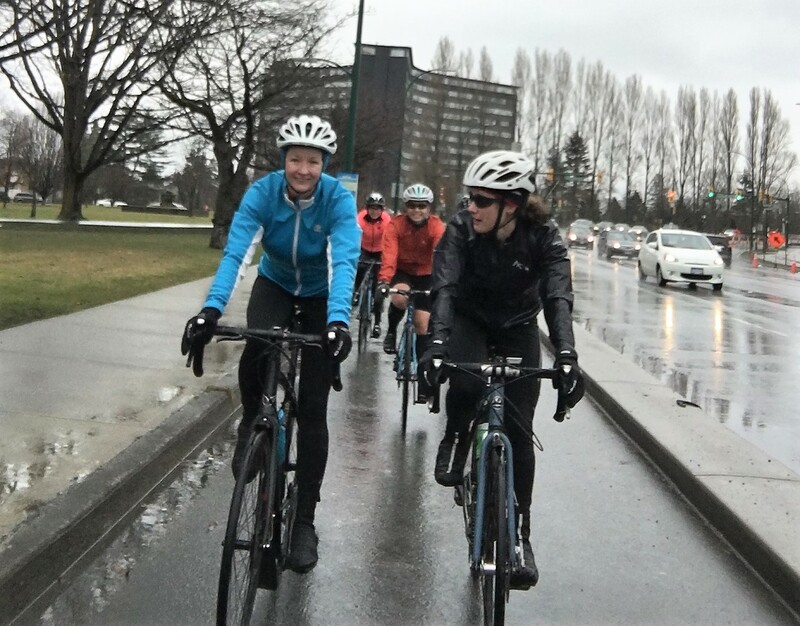 Last month, Liv Vancouver kicked off its regular weekly Sunday group road rides as part of its mandate to create more opportunities for women to join the region’s cycling community. In addition to the rides, the store is offering a wide range of tech clinics to teach interested women basic bike maintenance, repair and setup skills. Liv Vancouver staffer Kelsey MacDonald shows interested women how to break a chain at one of the store’s many tech clinics. In line with Gagnon’s own adventurous spirit, she will be leading an off-road ride along the Sea to Sky Trail from Squamish to Whistler in April with another weekend destination in the Okanagan Valley later this spring. The store is also offering an off-road demo day in Squamish on April 1, giving women the opportunity to test out Liv’s latest Pique Advanced 1 and Hail Advanced 1 mountain bikes on the area’s renowned trails. Gagnon intends to continually add events, rides, clinics and camps to the store’s schedule to meet growing demand. 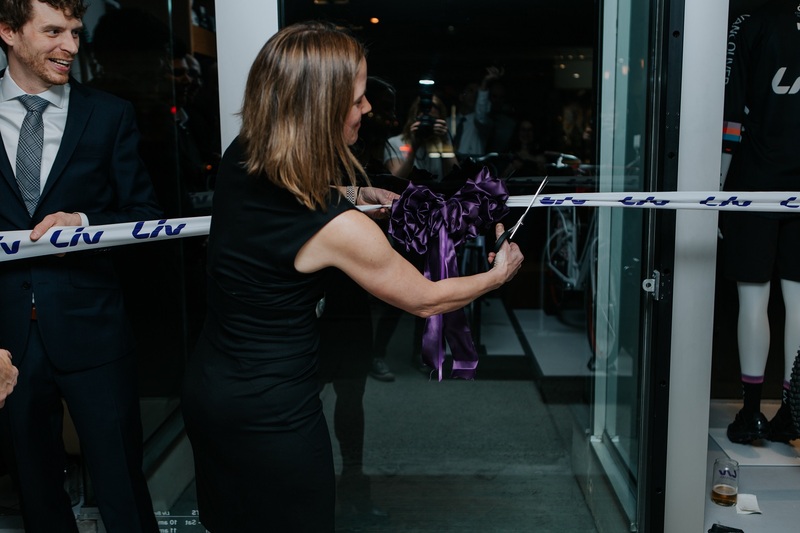 Anne-Marie Gagnon cuts the ribbon at Liv Vancouver’s Grand Opening last month. Liv Vancouver celebrated its Grand Opening on February 17 with a day of festivities, treats and discounts, followed by an after-hours party for friends and industry guests. Gagnon was pleasantly surprised by the number of people who stopped by during store hours to have a coffee and a treat while taking in the new female focused boutique bike store. She was even more surprised by the number of guests who filled the retail space to help her celebrate what she hopes will become a hub for women’s cycling in the city. More information about Liv Vancouver’s upcoming events can be found at www.livcyclingvancouver.com/events. 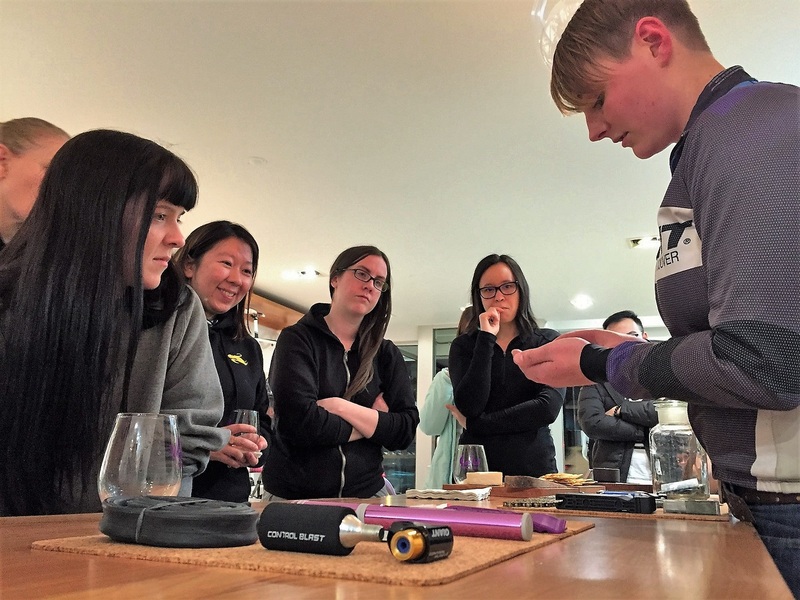 At Liv Vancouver, we are passionate about all types of cycling and we’re excited to share our extensive knowledge and love of bicycling with women in the community. We’re proud to be Canada’s first female focused cycling boutique dealing exclusively in Liv bicycles, along with Liv and complementary brand clothing and accessories. Liv is the first cycling brand completely dedicated to women.